When did you last watch a loved one open a perfect gift? Remember the gleam in their eyes, the squeal of delight, the beaming face of the person who gave it? 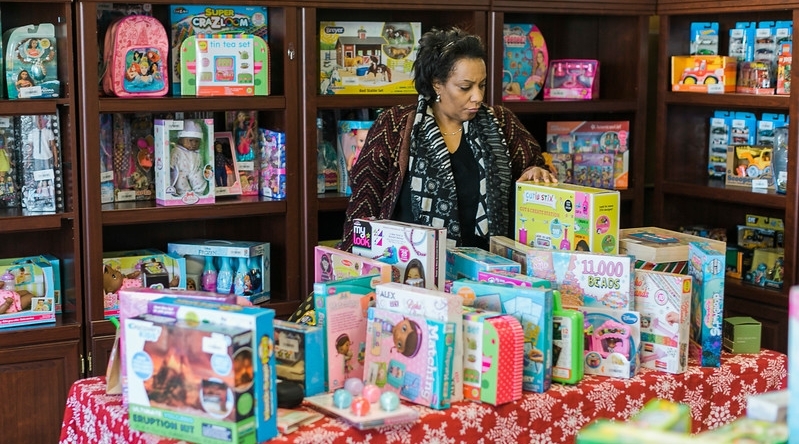 It’s this gift that Pride for Parents offers for families in South Atlanta each year. Our neighbors know that giving truly is better than receiving! Each year, parents, grandparents, and siblings on a budget lovingly select brand-new toys at a drastically reduced price in our Christmas store. For the past three years, the average toy has cost just $4.50 - giving family members the chance to be generous toward their loved ones! Each year, close to 500 parents shop in our store in early December to prepare for Christmas. 1) Toy Drives that collect new toys. Schools, churches, Sunday school classes, offices, and more organize and run these within their own communities to spread the generosity of the season! 2) Our Amazon Wishlist - which enables supporters to go online and buy toys directly for the Pride for Parents Shop. 3) Financial contributions that go towards helping us to buy toys for the store. We will stock our store with all of these contributions and watch the magic unfold from there! Our store has featured up to 5,461 toys thanks to the generosity of people like you. If you want to spread holiday cheer with us, reach out to Pamela Stringfield to get started! Thank you for giving the gift of giving to our neighborhood in South Atlanta!